The likelihood of obsolescence is well known; it’s a sure thing. Obsolescence occurs at every phase of a system’s life cycle. The consequences of this obsolescence depends upon a program’s approach to dealing with it. If that approach is not adequate, the negative impacts may be severe. From a cost and budget standpoint, programs can be hit with enormous bills to resolve obsolescence issues, usually when those issues are not discovered early enough to find lower cost solutions. From a production schedule standpoint, the worst thing that can happen to a production program manager is a schedule slip. Nevertheless, obsolescence, which is prevalent in production, can unfortunately make this nightmare a reality if a program doesn’t learn about it until a failed attempt to buy an obsolete item. From a readiness standpoint, every operational commander is worried about the mission capability of his or her equipment. A non-mission capable-supply status can be caused by obsolescence if you don’t know about it in advance. 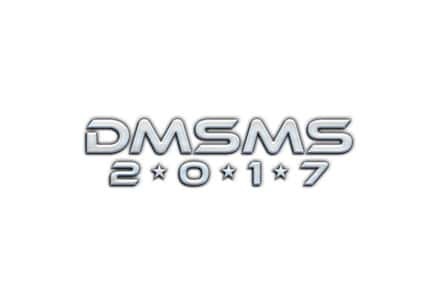 You are invited to attend the Diminishing Manufacturing Sources and Material Shortages (DMSMS) 2017 Conference scheduled for December 4-7, 2017 in Tampa, Florida. Qualified attendees (active US Military, Government or current DD2354 on file) will also be able to attend the concurrent Defense Manufacturing Conference at no additional expense, giving you access to more technical information for the same travel cost. The expanded Exhibit Hall will include all the leading organizations from both the DMC and DMSMS communities. Agenda, registration, and lodging information will be posted on this website. You can also view links from past conferences, access proceedings and see information about prior individuals and teams honored for their management of DMSMS programs. We are looking forward to seeing you in Tampa! Attend DMSMS and gain knowledge, and take advantage of all the networking opportunities, along with earning CLCs! Based on the Continuous Learning Credits Modules established, you will earn 1 CLP per instruction hour for attending the scheduled Training Sessions at the Conference!